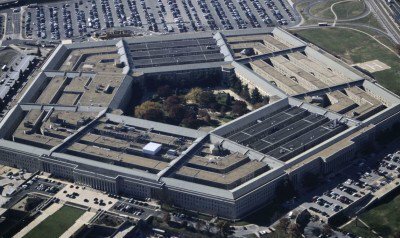 On Wednesday, the Pentagon released its 2015 National Military Strategy, a 24-page blueprint for ruling the world through military force. While the language in the report is subtler and less incendiary than similar documents in the past, the determination to unilaterally pursue US interests through extreme violence remains the cornerstone of the new strategy. Readers will not find even a hint of remorse in the NMS for the vast destruction and loss of life the US caused in countries that posed not the slightest threat to US national security. Instead, the report reflects the steely resolve of its authors and elite constituents to continue the carnage and bloodletting until all potential rivals have been killed or eliminated and until such time that Washington feels confident that its control over the levers of global power cannot be challenged. As one would expect, the NMS conceals its hostile intentions behind the deceptive language of “national security”. The US does not initiate wars of aggression against blameless states that possess large quantities of natural resources. No. The US merely addresses “security challenges” to “protect the homeland” and to “advance our national interests.” How could anyone find fault with that, after all, wasn’t the US just trying to bring peace and democracy to Afghanistan, Iraq, Libya and now Syria? War, war and more war. This is the Pentagon’s vision of the future. Unlike Russia or China which have a plan for an integrated EU-Asia free trade zone (Silk Road) that will increase employment, improve vital infrastructure, and raise living standards, the US sees only death and destruction ahead. Washington has no strategy for the future, no vision of a better world. There is only war; asymmetrical war, technological war, preemptive war. The entire political class and their elite paymasters unanimously support global rule through force of arms. That is the unavoidable meaning of this document. The United States intends to maintain its tenuous grip on global power by maximizing the use of its greatest asset; its military. The strategy specifically calls out Iran, Russia and North Korea as aggressive threats to global peace. It also mentions China, but notably starts that paragraph by saying the Obama administration wants to “support China’s rise and encourage it to become a partner for greater international security,” continuing to thread the line between China the economic ally and China the regional competitor. In other words, none of these countries wants to fight the United States, but the United States wants to fight them. And the US feels it’s justified in launching a war against these countries because, well, because they either control vast resources, have huge industrial capacity, occupy an area of the world that interests the US geopolitically, or because they simply want to maintain their own sovereign independence which, of course, is a crime. According to Dempsey, any of these threadbare excuses are sufficient justification for conflict mainly because they “pose serious security concerns” for the US, which is to say they undermine the US’s dominant role as the world’s only superpower. Russia is an evildoer because Russia refused to stand by while the US toppled the Ukrainian government, installed a US stooge in Kiev, precipitated a civil war between the various factions, elevated neo Nazis to positions of power in the security services, plunged the economy into insolvency and ruin, and opened a CIA headquarters in the Capital to run the whole shooting match. This is why Russia is bad and must be punished. But does that mean Washington is seriously contemplating a war with Russia? It sounds to me like the Washington honchos have already made up their minds. Russia is the enemy, therefore, Russia must be defeated. How else would one “counter a revisionist state” that “threatens our homeland”? Why with Daisy Cutters, of course. Just like everyone else. The NMS provides a laundry list of justifications for launching wars against (imaginary) enemies of the US. The fact is, the Pentagon sees ghosts around every corner. Whether the topic is new technologies, “shifting demographics” or cultural differences; all are seen as a potential threat to US interests, particularly anything related to the “competition for resources.” In this skewed view of reality, one can see how the invasion of Iraq was justified on the grounds that Saddam’s control of Iraq’s massive oil reserves posed a direct challenge to US hegemony. Naturally, Saddam had to be removed and over a million people killed to put things right and return the world to a state of balance. This is the prevailing view of the National Military Strategy, that is, that whatever the US does is okay, because its the US. Readers shouldn’t expect to find something new in the NMS. This is old wine in new bottles. The Pentagon has merely updated the Bush Doctrine while softening the rhetoric. There’s no need to scare the living daylights out of people by talking about unilateralism, preemption, shrugging off international law or unprovoked aggression. Even so, everyone knows that United States is going to do whatever the hell it wants to do to keep the empire intact. The 2015 National Military Strategy merely confirms that sad fact.